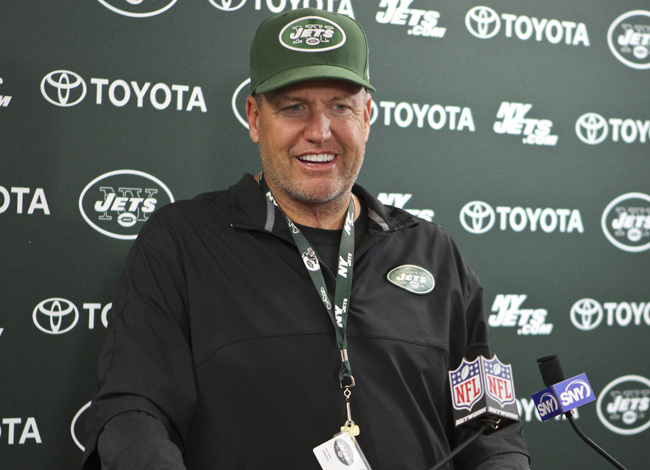 Are The New York Jets Messing With Us? CORTLAND, N.Y. — A brawl involving about 20 players erupted on the sideline in the New York Jets‘ practice Monday, causing reporters to scatter and coming dangerously close to fans. This has got to be a joke at this point right? A professional sports team simply can not be this dysfunctional. You’ve got a high-profile quarterback controversy involving two painfully mediocre quarterbacks, a coach who continues to run his mouth despite the fact that the team didn’t win anything after he ran said mouth in each of his first three seasons as head coach, you’ve got a psychotic linebacker who’s about to rip the head off of the third string quarterback who wildly criticized the team in the off-season in a blatant attempt to get let go but is still with the team for some reason. You’ve got a wide receiver who took a similar track in the off-season and was injured in practice by the cornerback who has never played a down on offense yet said that he’s the second best wide receiver on the team. You know the one, the guy with 8 different kids from 8 different mother? Now they are literally endangering their fans by having a battle royal within inches of the sidelines. I refuse to believe that a pro sports team is this messed up. Even with this group, it is literally impossible to be this dysfunctional. Hell, they make the 2012 Red Sox look like the 2004 Red Sox. At least the Sox made the effort to pretend that things were going alright during spring training. The Jets haven’t even waited until a pre-season game has been played to show how much of a mess they are. I’m convinced at this point that they are just messing with us. They’re going to come out looking like the ’85 Bears and start singing Kumbaya together in the locker room after the games while Rex laughs in everyone’s face. Because a team this messed up has to be joking right? There’s no way this is real. Tim Tebow, current Broncos starting QB – Tebow will now be placed on the trading block. Tebow was an exciting player last year but he still needs time to develop into the NFL game. Elway and Fox clearly preferred a more traditional pocket passer and they jumped at the chance to acquire Manning and mitigate whatever backlash from the fan base that would be caused by jettisoning Tebow. Now Tebow will be shopped around to other teams, some who need a QB and even some who don’t. The best play for Tebow would be to go somewhere where he could develop but I could imagine one of the teams desperate to sell tickets, and there is two of them down in Florida where Tebow is heralded as football royalty, might make a big push to get him in and sell tickets. San Fransisco 49ers – The 49ers and Alex Smith where playing a cat and mouse game that culminated in the Niners dabbling in the Peyton sweepstakes and Smith flirting with the Dolphins and the Seahawks. You would assume that the Niners would move quickly to bring Smith back in the fold. Alex Smith, current 49ers starting QB – Smith and the Niners are clearly the best fits for each other but negotiations turned south for whatever reason and led to the situation that I outlined above. Smith looks to have two choices now – re-sign with the 49ers or essentially punish them by signing with the Dolphins. Of course you could make the argument that he would be punishing himself if he signed with Miami. I think cooler heads will prevail and these two sides will get back together and work things out. You don’t fix what’s not broken and the Niners and Smith were a score away from the Super Bowl last season. Tennessee Titans – They were the other runner-up in the Peyton Manning sweepstakes. Honestly the collateral damage seems to be limited here. The Titans made it no secret that it was an ownership call to pursue Manning and it didn’t come from the football people. Matt Hasselbeck has always been a pro and he knows that he doesn’t have much time left in the game so he should come in and work hard like he always has. Jake Locker shouldn’t be effected either because he was either going to develop under Hasselbeck or develop under Manning, now it should take less time for him to get in the lineup with Hasselbeck in front of him. Miami Dolphins – The Dolphins are in a slightly worse position than they were yesterday. Sure they could try and acquire Tebow but there will be 30 other teams that could be in on him. The Manning signing puts pressure on the Niners to re-sign Smith and let’s face it – if your choices are San Fransisco and Miami who would you choose? The only hope is that the Smith/Niners relationship is damaged beyond repair but it doesn’t seem that bad at this point. Jacksonville Jaguars – The Jaguars are a new entry into the QB carousel. Like the Titans in the Manning sweepstakes the football guys would just as well go with what they have, 2nd year QB Blaine Gabbert battling it out with newly signed Chad Henne, but their is a new ownership in Jacksonville and the Jags haven’t been able to sell tickets in years. If it comes down to an ownership call (and as we’ve seen in the past few weeks it could happen) expect Jacksonville to jump into the Tebow derby and try to bring him home. Cleveland Browns – The Browns only shot at acquiring a veteran quarterback was if Peyton chose Tennessee. Mike Holmgren would have no doubt tried to re-unite with Matt Hasselbeck but since that won’t happen they will probably sit tight. Unfortunately for them sitting tight probably means reaching for Texas A&M QB Ryan Tannehill with the #4 pick. They could jump into the Tebow derby but I doubt they will. Matt Flynn/Seattle Seahawks – Matt Flynn, the other QB on the free agent market, played his situation as best he could. He identified the two teams, Seattle and Miami, desperate for a QB that Peyton Manning wouldn’t consider. He visited with both of them and made a call on where he felt most comfortable. Now both Flynn and the Seahawks can sit back and watch everything else unfold. The Texans make their first playoff appearance ever against the Bengals, a team that they defeated in Week 14 by a score of 20-19. The Texans started off the season strong but an injury to starting quarterback Matt Schaub has brought them back down to earth a bit. Rookie T.J. Yates will get the start for the Texans. The biggest boost to the Texans this weekend might not be who they welcome back to the field but who they welcome back to the sideline as defensive coordinator Wade Phillips returns after having emergency surgery a few weeks ago. 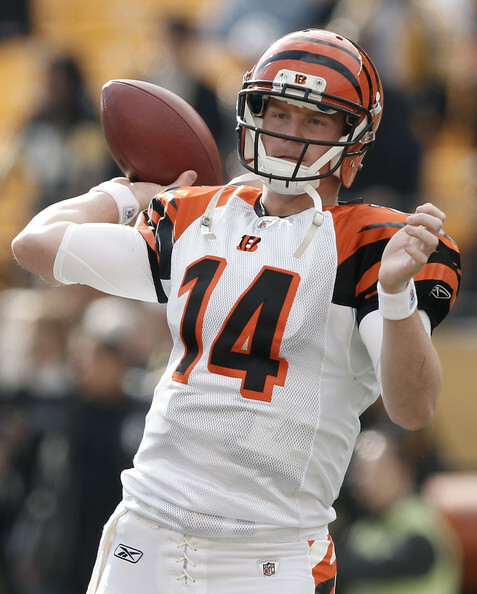 The Bengals defense is led by their own rookie QB, Andy Dalton, who’s started every game for the Bengals this season. Fellow rookie A.J. Green is one of the better rookie receivers to come into the league in the past few years. Defensively the Bengals are underrated and have an effective “no-name” defense that finished the season ranked 7th in the league. The Texans attack you with their rushing game, lead by the two-headed monster of Arian Foster and Ben Tate. They kill you with play action after they get the running game going and love using Owen Daniels, their stud tight end, in the middle of the field. Andre Johnson is one of the best receivers in the league when healthy. Defensively the Bengals try to keep everything in the middle of the field. They are stout against the run and held the Texans to only 41 yards rushing in their Week 14 match-up. On the flip side the Bengals rely on their rookies, Dalton and Green, and bring in running backs Cedric Benson and Bernard Scott to balance out the offense. The Texans 3-4 was the #2 defense in the league during the regular season, even without their best player Mario Williams. Expect this to be a low scoring, defensive battle. Both teams have rookie quarterbacks starting in their first playoff games and both teams have hungry, attacking defenses. I like the Bengals to make one more play on offense than the Texans and avenge their Week 14 1-point loss with a close win of their own. 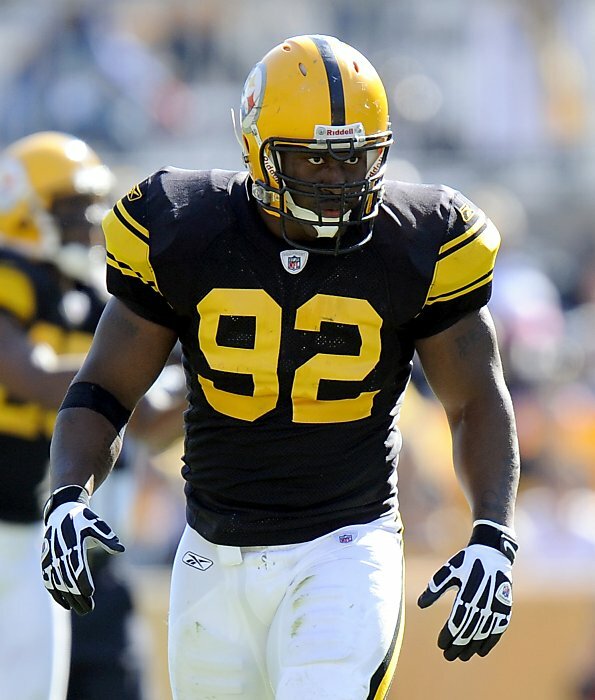 The Steelers come into the game banged up, having lost starting running back Rashad Mendenhall to a torn ACL last week. They will also be missing stud safety Ryan Clark who can’t play in the elevated air in Denver due to a blood disorder. Ben Roethlisberger is already banged up and said he had a setback on his injured ankle last week. On the other side the Broncos lost their best offensive lineman Chris Kuper to an injury last week. Clearly the Steelers are the better team with all things being equal, they won four more games in the regular season after all, but the injuries may be a sort on an equalizer for the Broncos. The Steelers usual ground and pound offense has evolved a bit with speedsters Mike Wallace and Antonio Brown at receiver. The question is whether or not Roehlisberger can move around the pocket enough to find them in space. Big tight end Heath Miller will be key for the Steelers. On defense for the Broncos their sackmasters Von Miller and Elvis Dumervil need to at least make Roethlisberger uncomfortable in the pocket. Big Ben will have limited mobility at his disposal. Offensively the Broncos live and die by Tim Tebow. The Broncos are paced by a running game involving Tebow, Willis McGahee and Lance Ball. They pass only when they have to. The Steelers were the #1 defense in football again this year and will be a big test for Tebow and co. Pittsburgh’s edge rushers will put a lot of pressure on Tebow and their middle linebackers will keep everything in the middle of the field. If you pressure Tebow and make the game contingent on his arm, like the Buffalo Bills did on Christmas Eve, chances are he’s not going to beat you. I’ve tried to talk myself into the fact that the Broncos can beat the Steelers, as many others have given the circumstances. I just don’t see Tebow and co. having very much success against this defense. They might keep it close if Roethlisberger is hobbled but if he gets into any kind of groove the Steelers might run away with this one. Tebowmania will be closed for the season after Sunday and I think both wild card teams move on.